Monday 14th January – Australian Market Wrap | Beeks Downunder-Because not all financial news is boring! Beeks is back !!!! Did you miss me….please say yes! ASX 200 loses steam down 1 to 5773. Quiet trade. China export numbers hurt optimism. Oil falls 1% in Asian trade. Resources see profit taking as energy runs cold. Asian markets mixed with Japan up 0.97% and China down 0.77%. RFG +15.25% speculation on Crust sale. TWE -3.03% UK Brexit woes weigh. SWM +4.72% NEC +4.59% potential media deals. CGC +% oversold after downgrade. SYR +4.53% commercialisation of Balama. APT -3.55% maybe not such a great Xmas. MSB -2.24% $15m debt facility accessed. BSL -5.17% serious profit taking. COL +3.12% Xmas winner maybe. WOR -2.17% oil price falls. SPL -4.76% becoming a substantial holder. Speculative stock of the day: Nothing with any substantial volume. 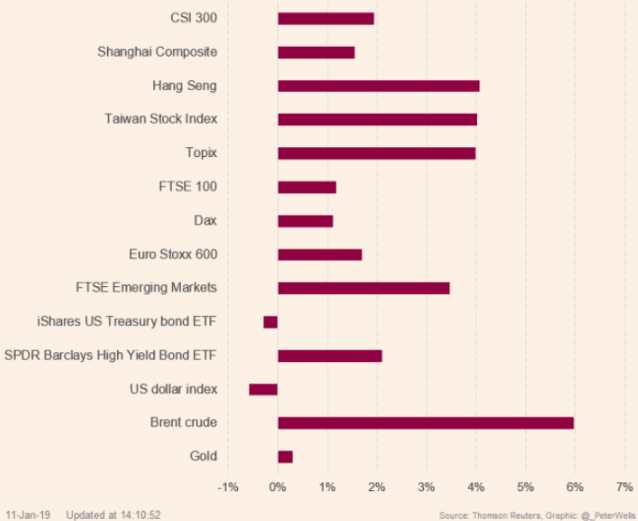 Biggest Fallers – YAL, BSL, WHC, APT, LOV and TWE. Wesfarmers(WES) -2.16% Trading update this morning. Looks like a slight downgrade with department store sales affected to the downside. The rest of the group is trading in line with expectations. K Mart sales increased 1% for the half year with comparable sales down by 0.6%. Impacted by weaker sales in apparel, particularly womenswear. Target sales increased by a mere 0.2% Department store sales now expected to be between $385m and $400m. Net Debt has also been reduced from $3.6bn to $0.3bn. Gain on the demerger of Coles is non-cash and is around $2.1bn-$2.3bn. Retail Food Group (RFG) +15.25% Following an early 22% rise in the share price this morning on media speculation on a sale of assets including Crust Pizza, the company has confirmed that there are ongoing talks and notes the interest in Crust is at a higher price than it had anticipated. More to come on this one but the company is progressing talks to reduce debt. Syrah Resources Limited (SYR) +4.07% Declare commercial production at the Balama Graphite Operation in Mozambique. China’s top economic official Liu He set to visit US for trade talks. China trade numbers underwhelm. Exports in dollar terms fell 4.4% from a year earlier, while imports dropped 7.6%. Both were the worst result since 2016, and were much worse than expected. 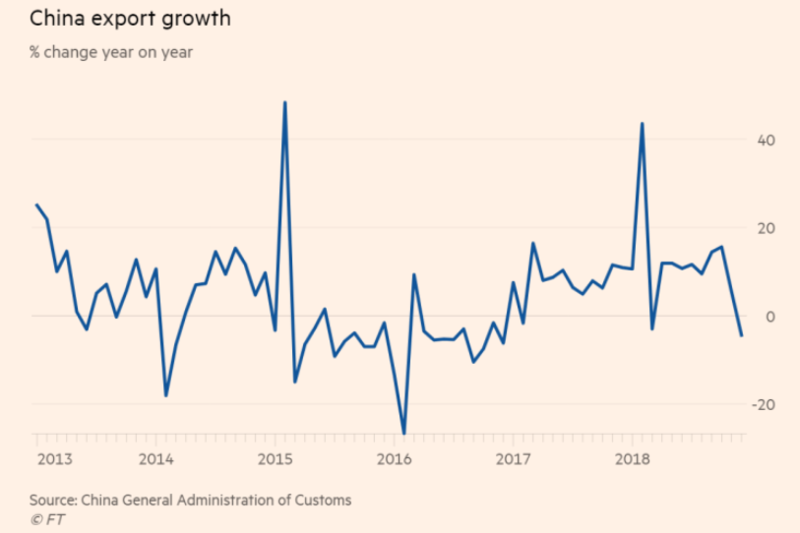 For the year exports rose by 9.9% in 2018 in dollar terms to $2.48tr, while imports surged 15.8% last year, leaving a trade surplus of $351.8bn. Chinese investment in the US has fallen to a 7-year low. It was down 84% as US regulators toughen investment conditions. The PBoC has knocked back Visa and Mastercard from processing RMB payments in China. Not a great sign of opening markets. Won’t please corporate America. Quick round up of the winners from last week. Greece is the word. More problems as the government faces a no-confidence vote after a coalition ally quit over Macedonian naming issues. 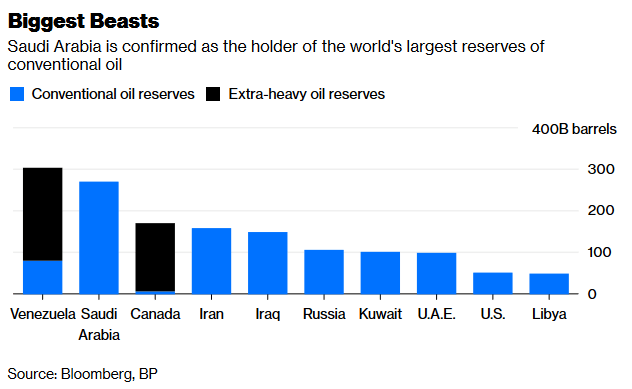 Saudi Arabia has released its oil reserve numbers. Much speculation over recent years on the size and longevity of the resources and this update of 263.1 bn barrels of oil. Plus it has another 5.4bn in its JV with Kuwait in the neutral zone. 40 years worth of supplies. Bill Gross at Janus Henderson is suffering from fund outflows. Now below US$1bn as it struggles to retain clients. Thinking of doing some morning strategy calls if there is some demand out there…what do you think? Any interest?